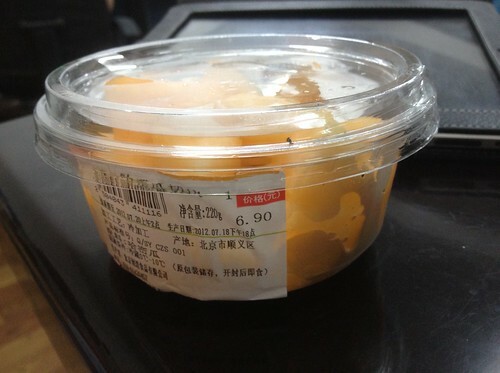 That's my breakfast again and as you can see, the price tag says RMB 6.90 which mean coins are involved again. This time round, I fished out all the coins in my pockets, pennies, nickels and dimes. A handful of them totaling 90 cents and I plonked them all into the palm of the cashier. She turned to her supervisor and asked if they accept nickels and pennies. I was like "What??! Come on! Where do you think I get the coins from in the first place?" I gave her a KNN dirty look and then the same to her supervisor. "你给 Limpeh say No 试试看." - death stare. The supervisor said yes fortunately and I was glad to be rid of them pesky coins. This is a Flickr badge showing public photos from voxeros. Make your own badge here.